His Beatitude Patriarch Ignatius IV (Hazim) of Antioch and all the East, November 27, 2004. Jasem Budi, Editor in Chief of the Kuwaiti ‘Al-Rai Al-Aam’ Daily, October 10, 2004. Fidel Castro President of Cuba. Kofi Annan the UN Secretary General. 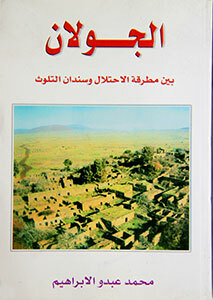 'Ashahar' Magazine issued in Paris, 14-7-2001. President Hugo Chavez of Venezuela, October 9, 2012. 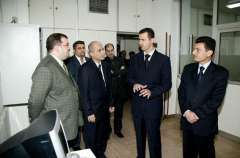 "Syria, given its cool nerves and strong military, and its President Al-Assad is a hundred times more dangerous for Israel than Iran." Israeli TV Channel 10. March 2012. "The Russian Leadership views President Bashar Al-Assad as the legitimate president who is committed to preserving security and order in his country. 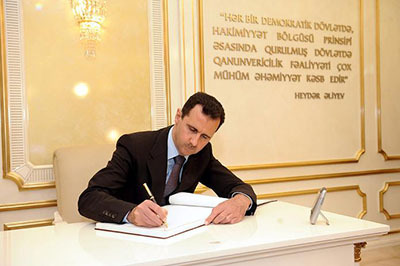 President Al-Assad is looking after his citizens and assuming responsibility for ensuring general order in Syria." Dmitry Peskov, Press Secretary of the Russian President-elect Vladimir Putin, March 22, 2012. The Egyptian Star, Adel Imam, February 26, 2012. We do award the Russian Union of Writers Award to H.E. 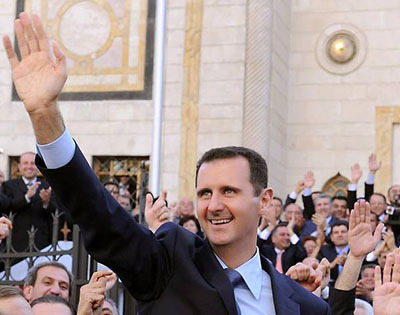 President Bashar Al-Assad for his steadfastness in resisting the Western hegemony and the attempts to impose their dictations on the Syrian People. 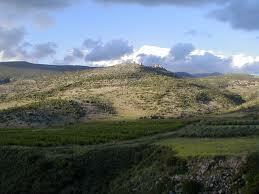 We wish success to President Al-Assad in solving the current crisis, and we believe in this success." The Chairman of the Writers' Union of Russia, Professor Valerie Gainchiev, January 22, 2012. 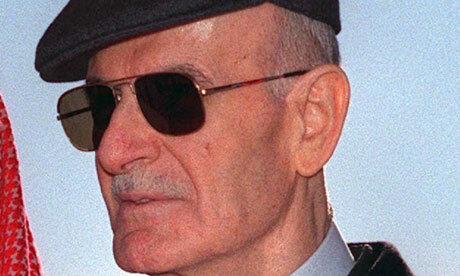 Hussein Mijali, Jordan's former Minister of Justice, January 10, 2012. Gregorios Elias Tabé, 70, the Syrian Catholic archbishop of Damascus, November 2011. Ahmet Davutoglu, Turkey's Foreign Minister, August 9, 2011. "H.E. 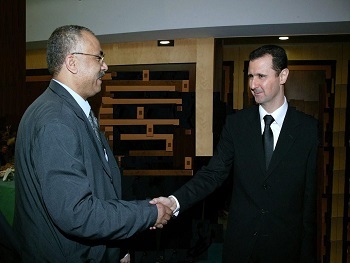 President Bashar Al-Assad is a fascinating man with a brilliant open-mind." Rolan Dumas, ex-French Foreign Minister in his book "Coups et Blessures", July 2011. 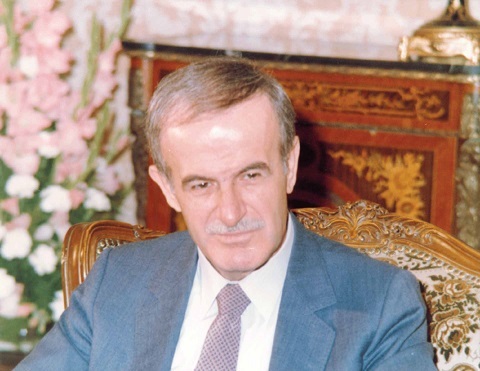 "President Bashar Al-Assad cares so much about what is taking place in Syria, which is evident in his efforts for a new Syria; and everybody who meets him can be certain of this. 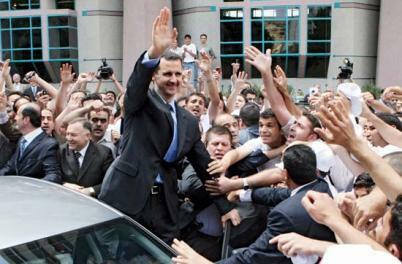 His Excellency President Al-Assad is highly beloved and appreciated by the Syrians whom I met." ''His Excellency President Al-Assad believes in reform, He is serious, determined and ready to go on with greater reform measures, but with responsibility and calculated steps." 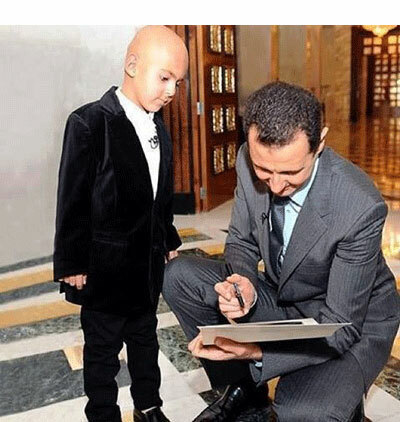 "His Excellency President Bashar Al-Assad is a humanist, doctor, educated in London, in no way an extremist; he is a man of great human sensitivity. We salute him from here." President Hugo Chavez of Venezuela, March 27, 2011. MP Nicholas Soames, Chairman of the British Conservative Middle East Council, February 27, 2011. ''The long-term strategic vision of President Bashar Al-Assad, which we share with him, has played an important role in the rapid development of the Syrian-Turkish relations." Recep Tayyip Erdogan, the Turkish Premier, December 19, 2010. Sheikh Dr. Mustafa Albagha of Manjaq Mosque, Damascus, November 16, 2010. The Bahraini 'Al-Bilad' Newspaper, November 8, 2010. 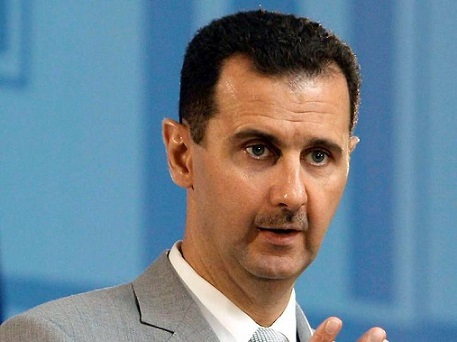 "The Syrian President Bashar Al-Assad always speaks in a transparent and clear way. He avoids manipulating policy. He never hesitates to say what he thinks of. He adheres to his principles." The Saudi al-Jazirah Newspaper, October 27, 2010. President Hugo Chavez of Venezuela, October 21, 2010. "H.E. 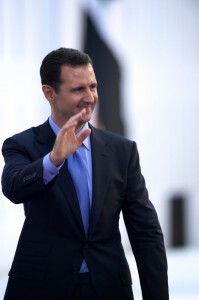 President Assad is also a key figure in the Middle East. He is a proud nationalist, supporter of the Palestinians." Ian Black, the Guardian, July 14, 2010. Talal Salman, As-Safir Editor-in-Chief, June 7, 2010. 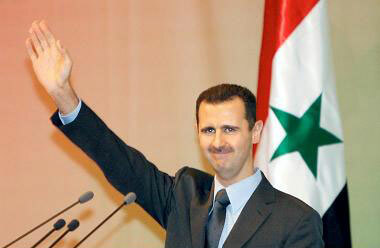 "President Bashar Al-Assad's March and His national stances create hope for the Arab Nation." "H.E. President Bashar Al-Assad is a great Arab Leader, who has a strategic vision and analysis for the nature of the conflict in the region, with its priorities governing all relations,"
"H.E. 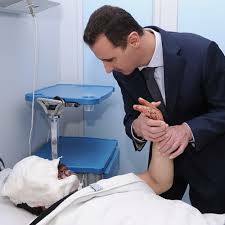 President Bashar Al-Assad has great credibility; he is sincere and never flatters anybody. I have concretely felt His high kindness and manners." The Yemeni Mareb Press, January 16, 2010. Prof. Mohsen Bilal, the Minister of Information, December 30, 2009.